Natalie Thompson rips into my smoothie habits, tears apart a burrito and teaches us a bit about the miraculous microbiome. Oh yeah, and shares a bit about her running. 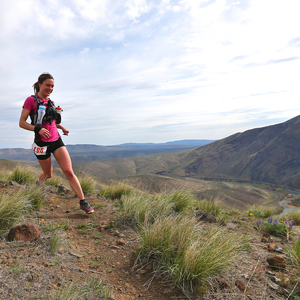 Find out about the nutritional habits that helped her to a 2015 which included 1st at Cat's Tail Marathon, 2nd at Virgil Crest 50, 2nd at Escarpment, 3rd at North Face Bear Mountain 50k, 1st at Breakneck Point Marathon. Josh Stratton LMT - Tell him you heard the podcast and use the code "MACE WINDU" when booking during April for $15 of a 60 minute massage!